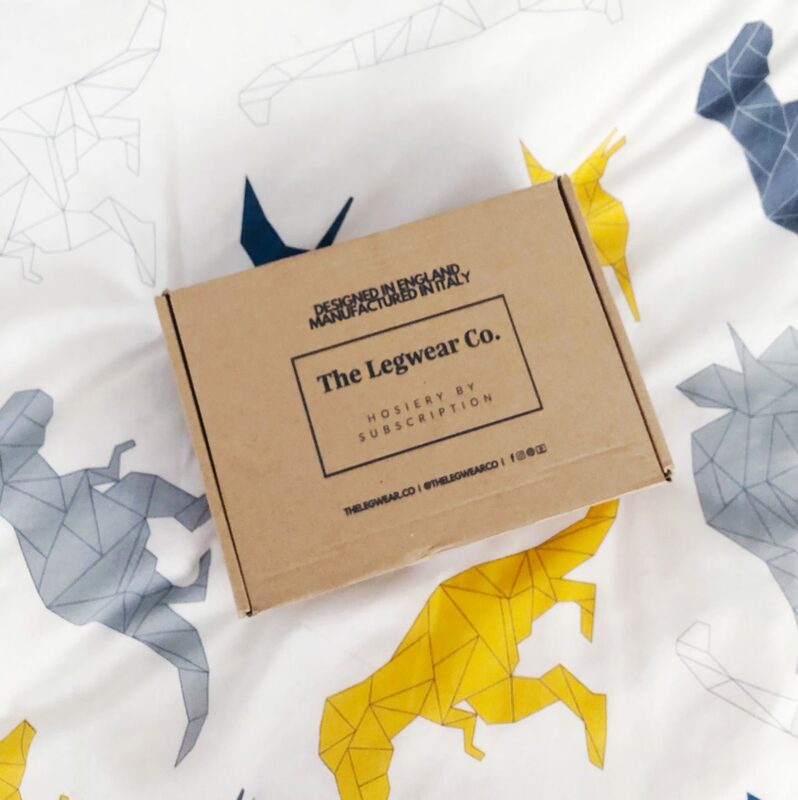 I was recently gifted a fabulous new subscription box from The Legwear Co. It’s a subscription service designed to provide you with a source of sustainable hosiery. Looking after our environment is the topic on everyone’s lips lately. I really feel the Legwear Co. are really doing brilliant things right now. I’ll be the first to confess that my tights go straight in the bin when they are no longer fit for purpose. I’ve never even considered recycling them or realised that I could. My granny used to repurpose her tights by using them for gardening! 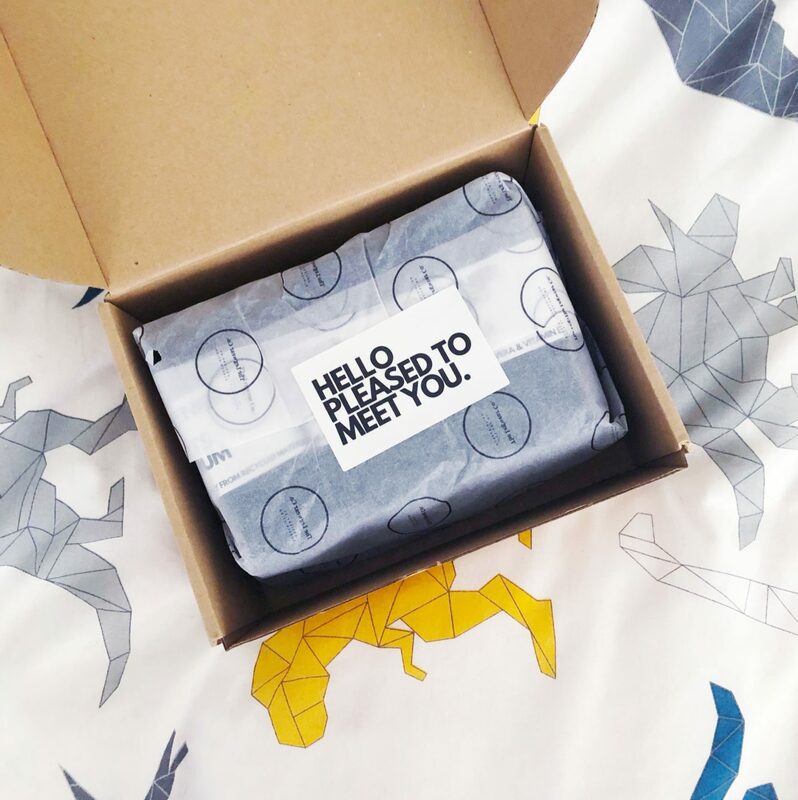 I was really excited by the idea of a subscription box for tights. My mobility is limited so I have to rely on someone else to get me to a shop to buy new tights. I wear tights every day for work Often buying cheap and in bulk to ensure that I’ve enough pairs to last me until I can next get to a shop. The fact that with this particular subscription service I can get good quality, sustainable hosiery on a regular basis means I don’t have to worry about laddering my tights or sticking a fingernail though them! You get a free 28 day trial, if you don’t like them, you can cancel or if you need a different size they can replace them. They also are designed to be long lasting and durable and come with a 3 month warranty! The packaging is simple and effective. It’s all recyclable too which is great and there’s no plastic either! 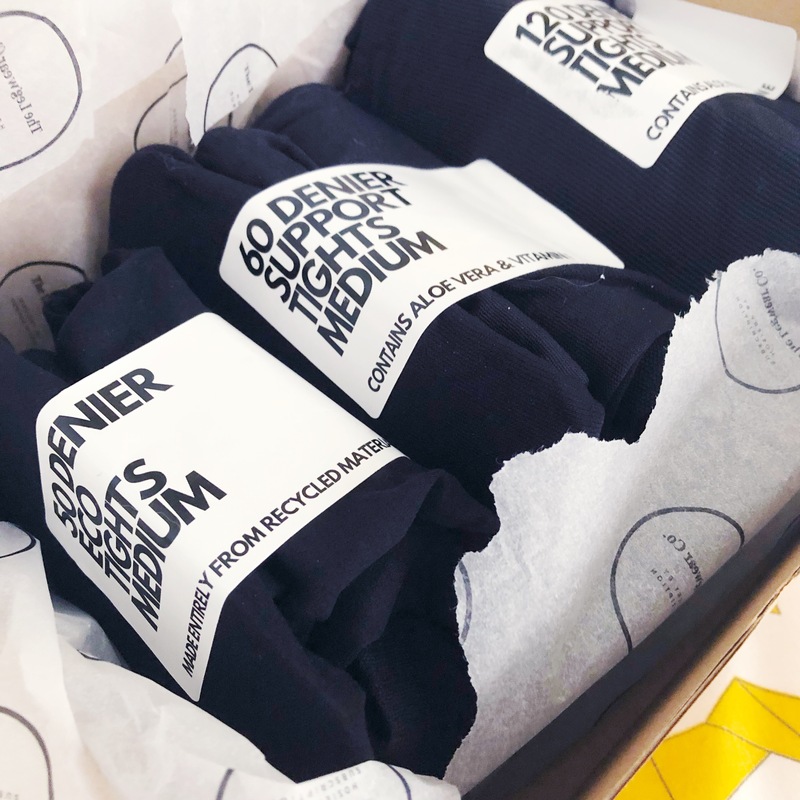 I tried the 50 denier eco tights – made from recycled yarns. I am used to wearing a much heavier denier so I was unsure how I’d get on with them. They were easy to get on, which is really important to me. My disability and hip replacement mean that I’m not very flexible and trying to get tights on can be a painful challenge. These pulled on easily. The stretch in them was brilliant and I was pleased with how they fit me and how they sat on my (Winnie The Pooh-esque) tummy. I wear tights for around 8 hours a day and sometimes this can be really uncomfortable. They didn’t dig in or roll down and I didn’t get a wrinkly excess of fabric around my knees or ankles! Even though they were a lower denier to what I’m used too, I didn’t really notice. They sit nice and high over my pants, tummy and hips, which I really like. I tried the other pairs of tights out as well over the next few days. Again they were really good quality and comfortable to wear. 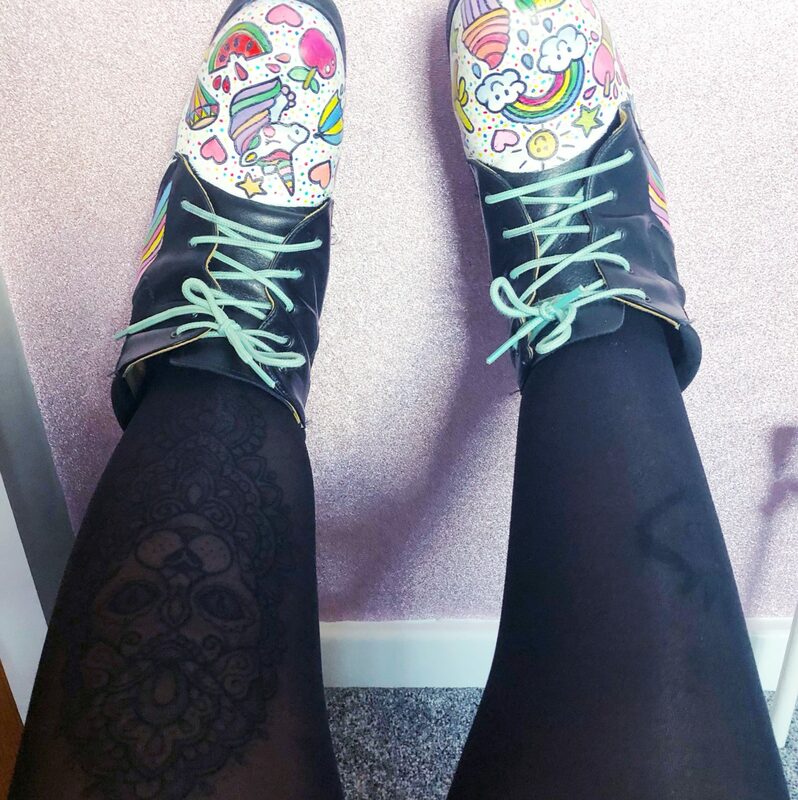 The other two pairs from the Winter Edition box are both a much heavier denier (60/120) and are also a support tight. They were both a little trickier for me to get on. As I already mentioned though this isn’t a design fault in the tights, but more a design fault in me! They were comfortable to wear all day and fitted pretty nicely. Both pairs of the heavier tights were longer and they bunched around my knees a little as they day wore on. But I do have short legs so this may not be a problem for other people. They were also really soft against my skin. Sometimes when I take tights off at the end of the day, my legs can feel a little itchy and I didn’t notice this with either of the heavier denier pairs. I’ve now washed all 3 pairs and worn one of the pairs again. They have washed well and haven’t stretched out or lost their shape which is really great. All of the pairs felt sturdy and I didn’t worry that I might stick a fingernail through them. All in all, this is a great idea. The hosiery is really great quality and their core values are something I can really like. The price works out to around £11.00 a pair. This feels a little pricey but overall the quality of the packaging, product and general ethos makes it sting much less. Also I put high value on the fact I don’t have to worry about getting to a shop if I ladder a pair. I really like that they will recycle any and all hosiery as well. I’d like to thank The Legwear Co. for sending me a subscription box for my honest review. Would you be interested in a subscription box like this? Get in touch below. This product was gifted to me. My opinion is honest and my own. I never knew tights could be recycled and admit to putting mine in the bin once they’ve worn out. These tights sound great and although I wouldn’t buy a subscription i would be interested if they offered the products individually at some point. Great review.